Welcome to Smith and Bailey! Discover the difference you’ll experience with our friendly dentists. From the moment you walk in the door, we welcome you with a relaxing, spa-like atmosphere and a warm greeting. This is your opportunity to experience how an office that is changing the view of dentistry can give you more reasons to smile! 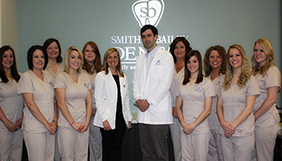 Why visit Smith and Bailey Dental? Welcome to Smith & Bailey Dental! 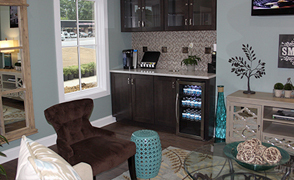 To provide an exceptional patient experience through hospitality, amenities, quality and efficiency! At Smith & Bailey Dental, you are family, and we want to make sure that you and your family members are always comfortable in our care. We will perform a complete medical and dental history and conduct a comprehensive dental exam. If necessary, we will perform any dental x-rays and discuss your current dental needs. Please allow 60 to 90 minutes for this initial visit. Your time is valuable to us! We strive to run on time so you won’t be kept waiting and we ask you to arrive for your appointments on time as well. Dr. Smith and Dr. Bailey only deviate from their schedule in the event of dental emergencies that need to be taken care of immediately.